One veterans’ group is upset after the NFL rejected its proposal for a one-page ad in the program for Super Bowl LII, and according to the NFL, the group rejected its proposal for a compromise. 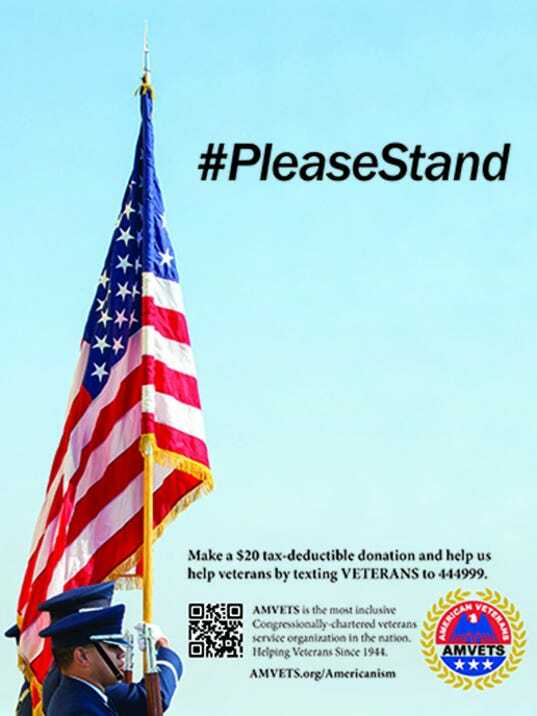 The group AMVETS submitted an ad with the message “#PleaseStand,” and also included instructions on how to donate to AMVETS. NFL spokesman Brian McCarthy explained in an email to USA Today that the league tries to keep the commemorative game program apolitical, and noted the NFL’s long-established support of the military and veterans. As evidence of that, the government shutdown last weekend initially meant that troops stationed overseas wouldn’t be able to watch the Armed Services Network and thus the AFC and NFC championship games; the league worked a deal to make sure that they still could. Joe Chenelly, the executive director of AMVETS, said just as players who kneel during the anthem are exercising their free speech, his group wanted to do the same. According to the AMVETS website, the Americanism program is for schools and youth programs, and teaches lessons like American heritage, civics and citizenship. In our opinion, the ad, which AMVETS posted online, looks more like a request for donations than a promotion of a children’s program, but we digress. McCarthy said the NFL approved an ad from the VFW that includes the tagline, “We Stand for Veterans” and text describing the benefits the VFW offers. Ads in the commemorative Super Bowl program are sold by a third-party company, but the NFL approves them before the book goes to production. The full-page ad would have cost $30,000.